curriculum – What is a Progressive School? Okay, so I caught you on the clickbait. Bear with me. Minecraft will eventually appear on this post. In number 4 to be exact. 1. They maintain small class sizes. Even if there is a set scope provided by the Department of Education, the small class size allows the teacher to check out the individual strength and weakness of each child and can check if the class in general can assimilate the curriculum. 2. The teachers are given freedom to implement the curriculum based on class skill level. If they find a child that has difficulty even with a developmentally appropriate curriculum, the teachers recommend for a developmental-pediatric consult to rule out any learning disability. On the other hand, if they find that their students are ready for concepts in the next level, they are exposed to such concepts in class. 3. 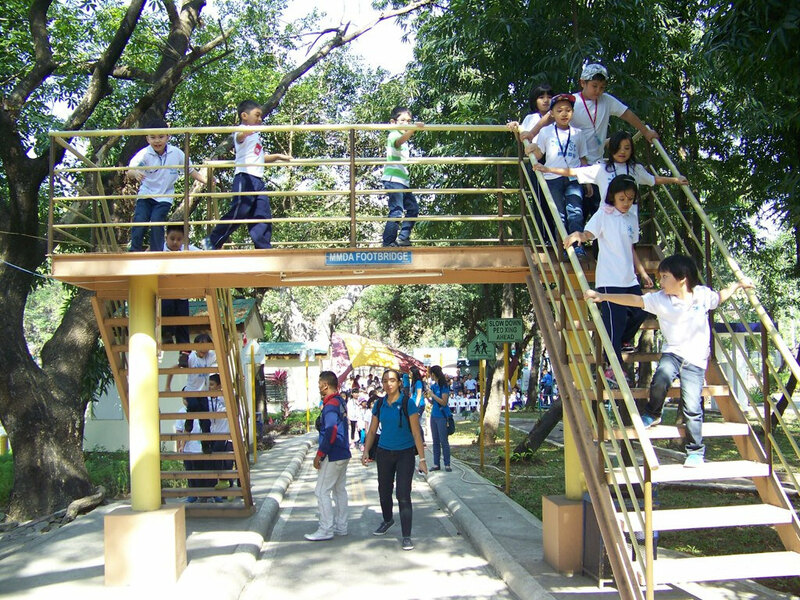 Activities are planned to make the curriculum more experiential for the students. Learning through experience is the Dewey mantra. If I ask you what you remember most in school, it is usually wrapped around a story.. “I remember the story of The Little Prince because I had so much fun drawing the snake eating an elephant which everyone thought was a hat” or “I remember the order of the presidents because a teacher sang a rap song in class! Hilarious! ” I hardly hear anyone say, “I remember the poem that Jose Rizal wrote because of a Social Studies exam I studied for”! To learn road safety and traffic rules, these students went to a Child Safety simulation place for their Social Studies lesson on Community. 4. The teachers use creative ways to pique the interest of the students. So much so that the students themselves are interested enough to research on their own and deepen or advance the concept. This is crucial. Finland’s excellent education system is based on internal motivation. They create lesson plans that makes the learner more curious of the topic to willingly research about it on his own. Check out the kids who play the computer game , Minecraft. They know every detail of the game! This is because it piqued their interest, they researched on their own and they have a community of other learners to bounce off ideas with! Now if every school concept can be creatively planned like this game, more kids can enjoy the learning process more. 5. There is peer-to-peer learning or group work. As described, playing Minecraft is a perfect example in today’s children’s learning process. An important part of the process is peer-to-peer learning. Children playing any computer game, starting a hobby or reading a book, usually consults the internet for other children doing the same thing and they learn from each other! The student then becomes a teacher. And that is crucial in a progressive classroom — the opportunity for students to bounce off ideas with one another with effective mediation from the teacher. This is why progressive classrooms are set up with the opportunity to group chairs and tables together and group work is a major part of the lesson plan. This not only encourages peer-to-peer learning, it also strengthens the student’s socio-emotional skill of working well with others. 6. Their developmental checklists (specially at the preschool level) is revisited annually to check if the skills are still applicable to the current age level. For samples of developmental checklists, check out the National Association for the Education of Young Children. For the elementary and secondary levels, most schools follow a prescribed curriculum by the state. All have the same goals, the difference is in the method of achieving the goals. Ultimately, the question is, do children who have undergone progressive programs reach their full potential? They do! I have witnessed all of our students go on to different secondary schools and one thing is common for all of them. Because we have encouraged their strengths and helped them with their weaknesses, because we molded the curriculum around them so they can better understand it, because there is a sense of trust between teacher and student, they have gone on and conquered whatever curriculum they are faced with, whether traditional or progressive.